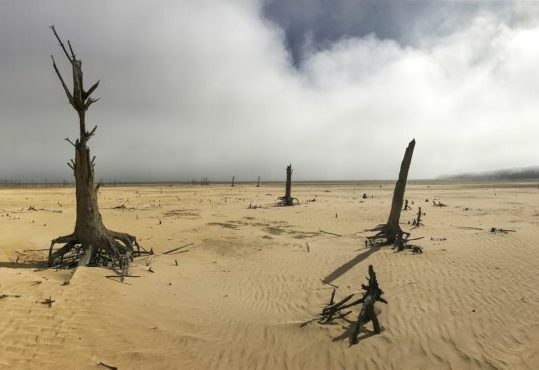 Cape Town’s drought reveals the future of travel – sustainability should no longer be a niche, but the norm. For decades, the travel and tourism sector has been trying to make sustainable and responsible practices more mainstream; It shouldn’t be called sustainable tourism as a niche, but rather just tourism. I’m staring at the murky, jaundiced toilet bowl. I reach for the flush but stop and pull my hand back. If it’s brown flush it down, if it’s yellow let it mellow. Sorry to be crude, but that would be as much as 13 litres of water gone, a fifth of my daily allowance in a Cape Town struggling to manage the precious resource during the city’s worst drought in living memory. Only I’ve returned from the South African city and am stood not on the southernmost tip of Africa but in my flat in north-east London. This is the new normal in terms of responsible tourism and travel, said South African Tourism’s UK head Tolene van der Merwe, of the guidance and restrictions put in place on residents and visitors over the festive period, at a time when the city was concerned it did not have enough water to last its summer. Avoid flushing the toilet, no baths, keep showers to three minutes (later cut to 30 seconds). Why not wash in the sea? Tourists were asked to save water like a local, while locals were to told to get creative in how they slashed their consumption. Back from the Western Cape, it’s clear staying in Cape Town at the height of the drought in January has left an indelible impression on my own water usage, at home and abroad. When I was there, the city had as little as three month’s left of water. Hotels removed plugs from baths, car hire firms stopped washing their vehicles, restaurants refused tap water. It felt like every drop mattered, and myself and the friends I was with behaved thus. We kept showers to three minutes, shamed anyone who did not, and, coming from a country where water is too often in unwelcome abundance, attempted to comprehend what it was like to live somewhere where its presence was so fragile. Read full original article at The Telegraph UK.